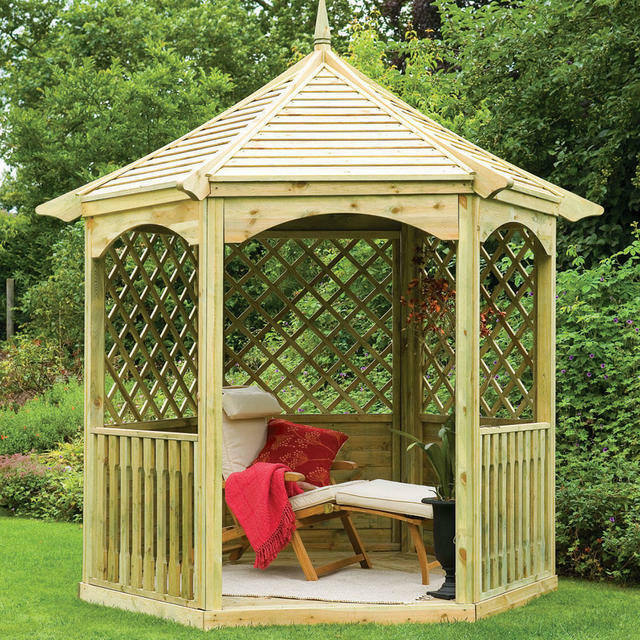 Perfect for lazy afternoons under the shade of the gazebo. 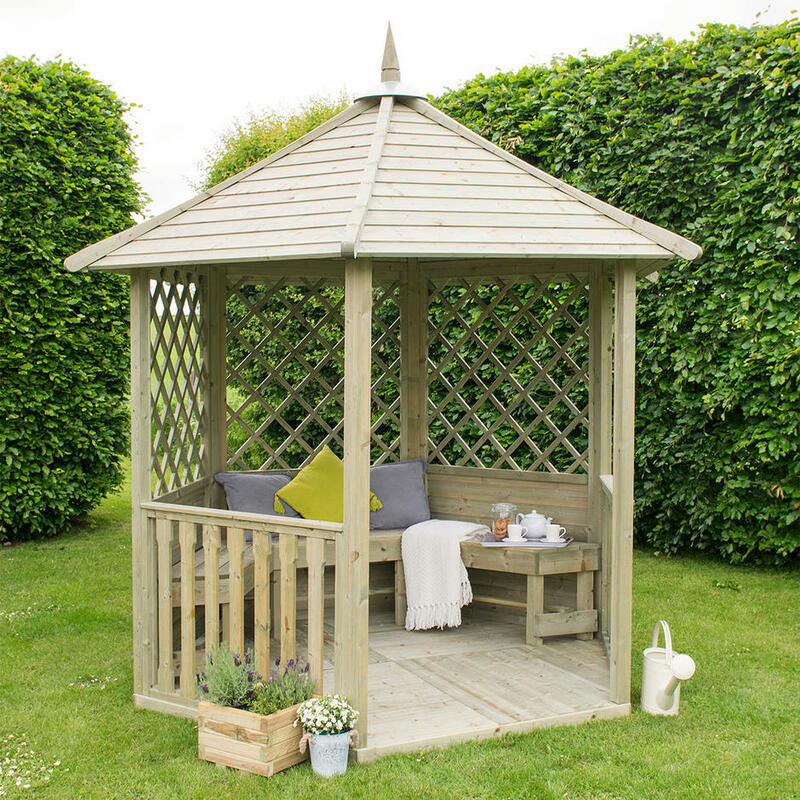 This elegant Burford Gazebo has half back panels which are perfect for supporting scented climbers such as honeysuckle to scramble over. The solid timber roof provides protection from the rain, so even in drab English summers the gazebo makes an ideal spot to while away the day. The gazebo has an integral timber floor and three benches, which can be fitted round the inside of the gazebo if required (not shown on the photo). 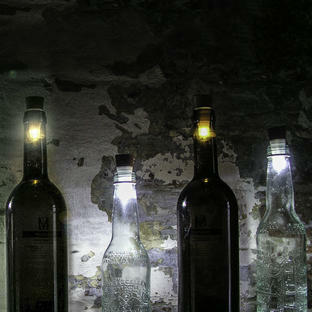 If not required, just leave them out. 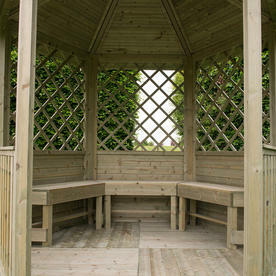 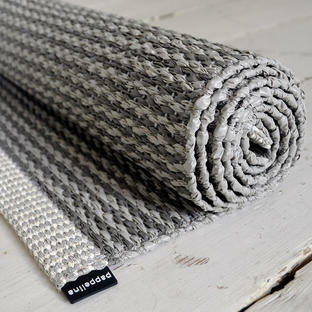 The side panels has lattice work which makes them ideal for supporting climbing plants. 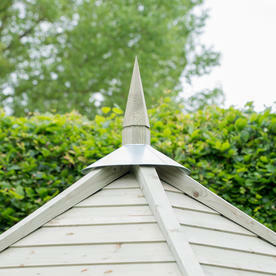 The roof is of wooden tongue and groove construction. 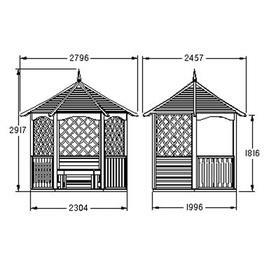 The footprint of this gazebo is 230 x 200cm. 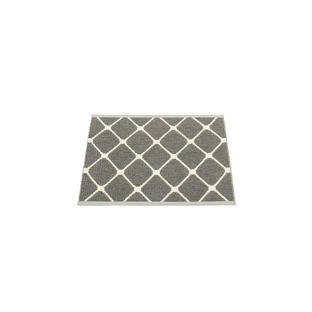 The wood has been planed to give a smooth finish. 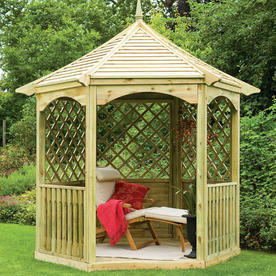 This gazebo has been pressure treated and have a 15 year guarantee against rot, so no extra treatment is required. 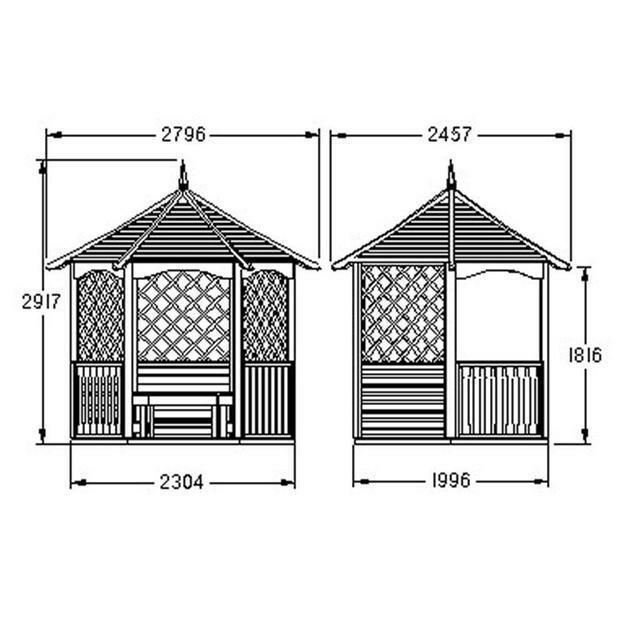 It is estimated that the Burford gazebo will take approximately 8 hours to construct. 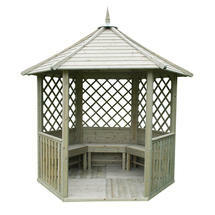 If you like the Burford gazebo but would prefer something larger, the Burford pavilion is available. 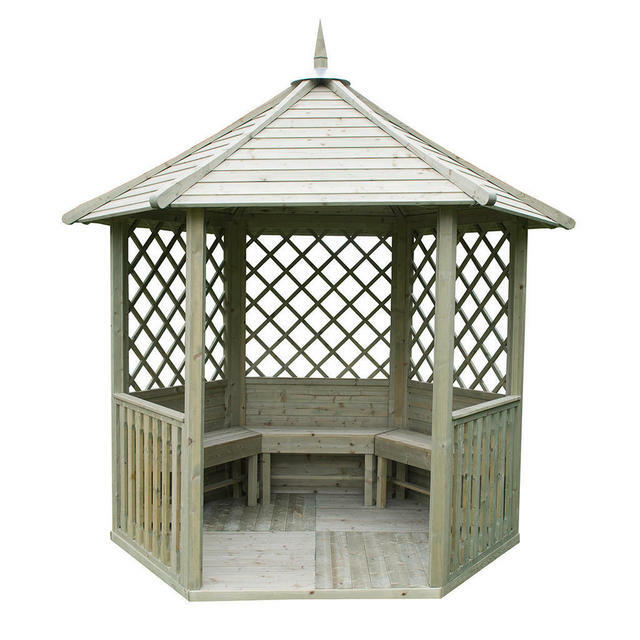 If you would prefer something smaller, the Burford half arbour is available. 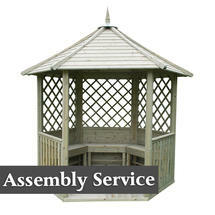 We offer a delivery and assembly service on this gazebo*. 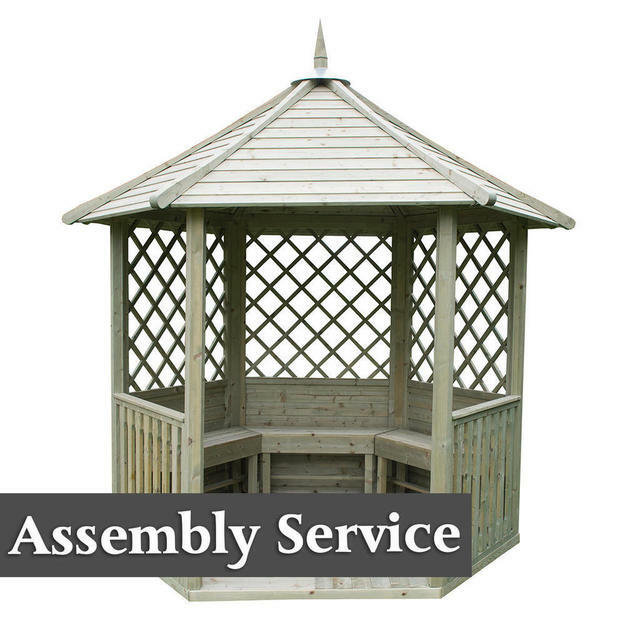 *Please note however we are unable to offer delivery or assembly of this gazebo to addresses in the Scottish Highlands and Islands, Northern Ireland, Chanel Isles, Isle of Man, Scilly Isles and Isle of Wight and Europe.